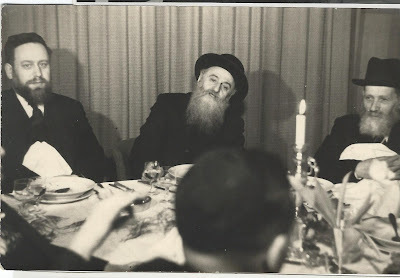 Did Lubavitcher Chassidim save Rishel Kotler ע"ה's shidduch?! 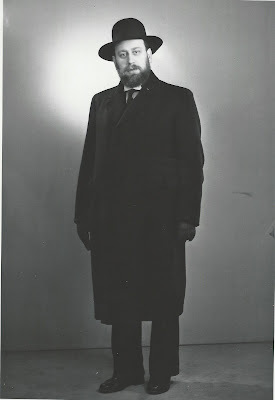 A young Reb Shneur in Chevroner Yeshiva. Wiki Photo. There's a bit of legend mixed up in the facts, but the basic story is as follows. 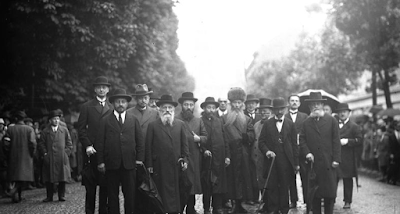 (Lubavitchers always get their facts wrong, don't they?) 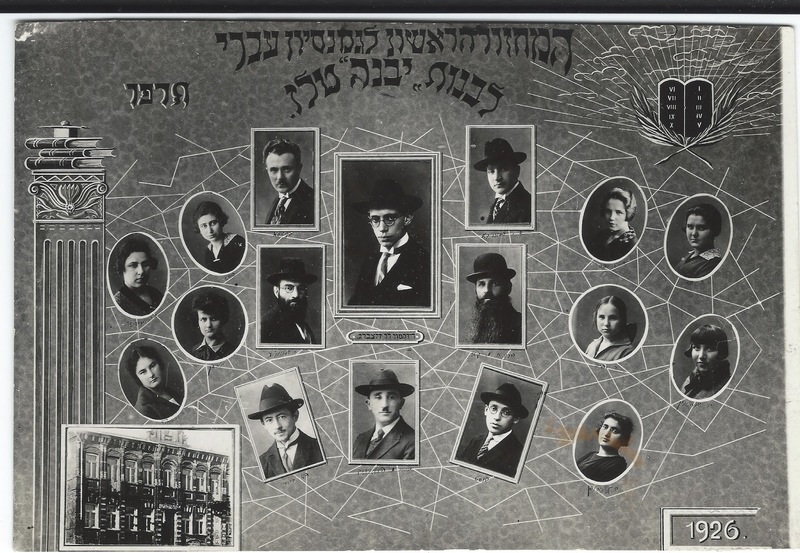 The late BMG'er Rebbetzin escaped to Shanghai via Kobe, Japan. (Regardless of what Wikipedia says. 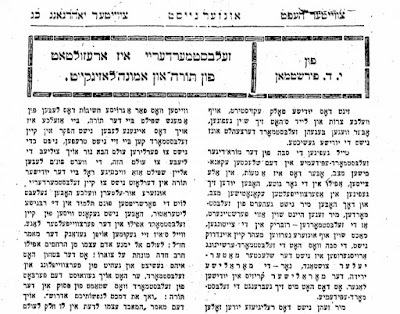 she didn't go Eretz Yisroel in 1940) Before the war she was already engaged to Reb Schneur, who made his way to Eretz Yisroel, studying in Chevroner Yeshiva. After the war RSK traveled to the US to be reunited with his father. Rishel was stuck in Shanghai until 1947. So said her son Aron at the levaya. So the chosson and kallah were apart for some 6-7 years. During that time Rishel contacted typhus or TB. I forget which. 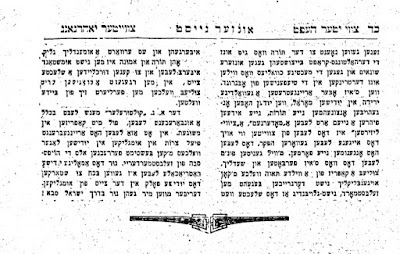 She of course recovered, but only after Reb Meir and his Rebbetzin nursed her back to health. She was also apparently smuggled into the US by Lubavitcher bochurim. That's how the Lubavitcher version goes. The Kotler family was still worried and thought about breaking off the shidduch, as we say in Brooklyn. 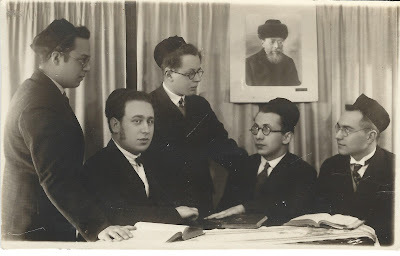 The story goes that the late Shanghai'er Rov, Reb Meir Ashkenazi, grandfather of the late KfarChabad'er Rov, who was held in high regard by all who came in contact with him, was asked to intercede on Rishel's behalf. He went to the Frierdige Rebbe who sent him to the Rebbe who told him what to do. Basically, that since they wrote the Tenoyim already that they're required to keep the shidduch and they should be told as much. In the end it all worked out - and the rest is history. The funny thing is that the Kotler family made no mention of it at the shiva. Despite the fact that R' Shragie Kotler married a granddaughter of Reb Meir Ashkenazi. They have a totally different version. 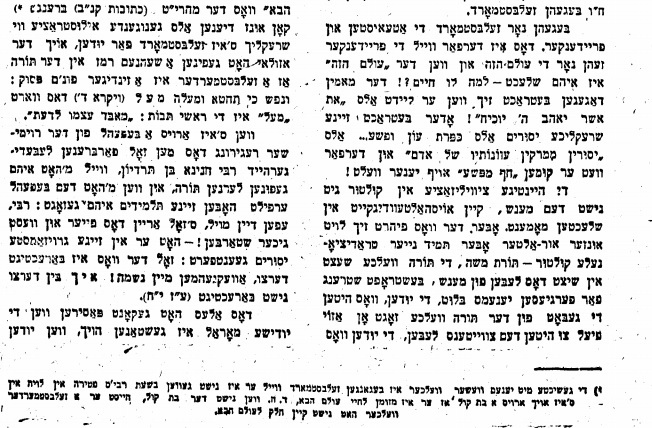 I heard from people who were there at the shiva that according to the sons SHE was the one who wanted to break off the shidduch - or at least she told them that she was no longer a yachsan, since her father was a Baalbatisher Yid and a Talmid Chochom, but he's no longer alive. Her father was, after all, a Slabodker talmid and a chaver of RAK, and she saw that as her only right, so to speak, to enter into a family such as the Kotlers. And also that she had been ill and that the doctors say that she will not be able to bear children. According to the family it was her future shver that was to have told her that since Reb Elchonon Wasserman הי"ד was the one who made the shidduch in the first place that there was nothing to worry about, and that the shidduch must go on. B'chol ofen, ווי עס זאל נאר ניט זיין, it makes for good conversation. 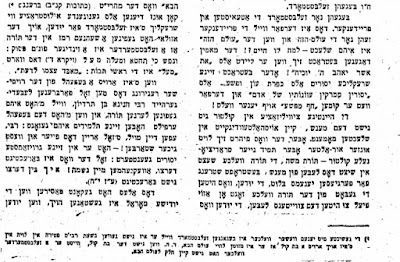 Agav, I mentioned to a Lakewood talmid friend of mine who grew up there that based on what they say of her, how she cared poshut b'gashmius for every talmid, that the title "Mother of Klal Yisroel", which was bestowed on the very righteous Rebbetzin Kanievski by the editors at Artscroll, would be much more suited to the BMG'er Rebbetzin than to her, simply for the amount of talmidim and talmidos she came in contact with and helped out. Zol zee zayn a gutte betterin far di gantze BMG mishpoche. 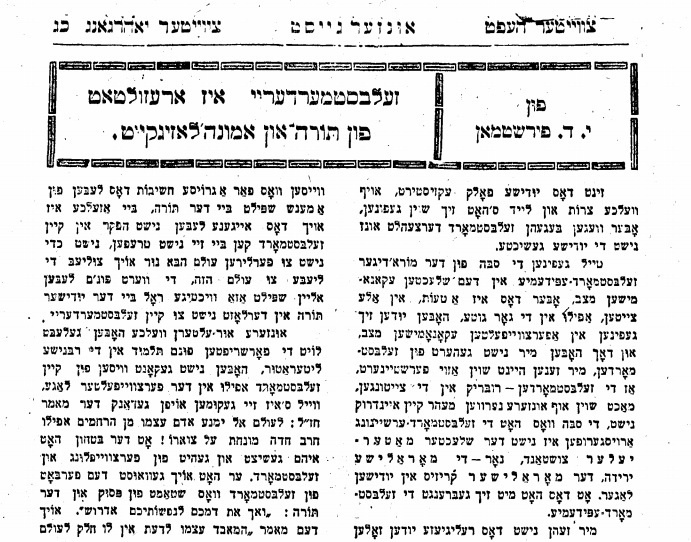 I see you are busy on some big project, but in the meantime put this on for all the Suscher Katzes and Shulem Deens, they didn't invent the wheel of misfortune. 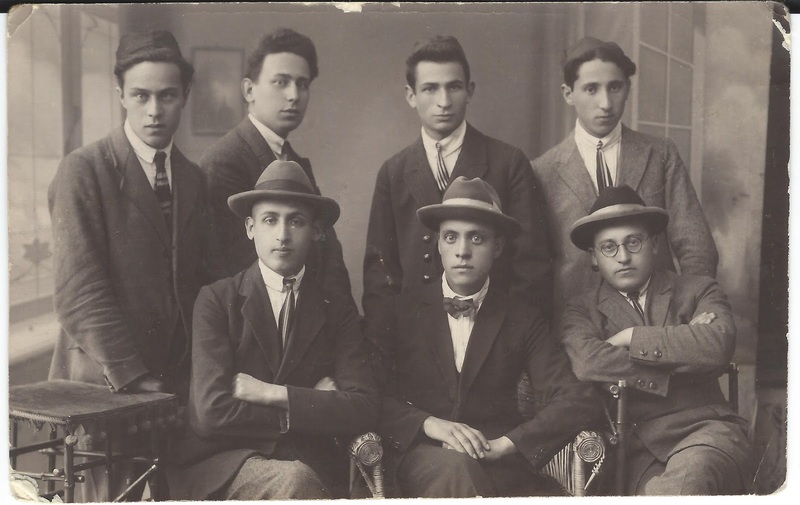 Poland in the 20's and 30's, when the OTD winds blew in to the charedi homes; suddenly the rash of suicides started. A unknown phenomenon. But they called it "a result of foresaking Torah and faith." They weren't mental health professionals, but that's what they were saying. 2015 is no different, the great organization Footsteps will not help these inflicted souls. Reading up on this issue I see that there is much disagreement about the achievements of Footsteps, some claim Footsteps does not deliver anything other than the 4 times a year party, while others say otherwise. I have no real opinion either way, just passing it along. Reb Yosef N. Kornitzer of Krakow, left, with his cousin Reb Shlomo Sofer of Bergsaz, right. 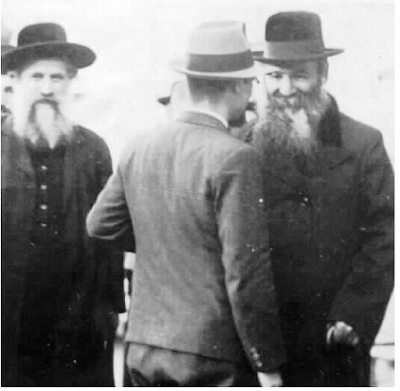 (right) Reb Zalman Sorotzkin of Lutzk, son in law of Reb Lazer Gordon of Telshe, and (left) Reb Shmuel D Unger of Nitra. 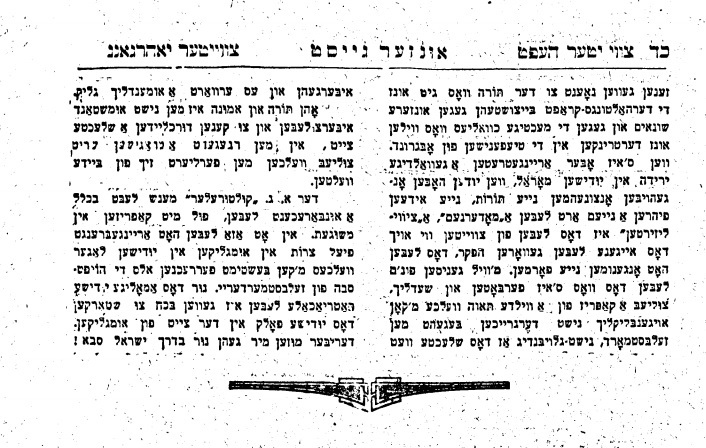 I recently came across an edition of the Noam Elimelech printed in New York in 1942 by Joshuah (Osias!) Wagschal. 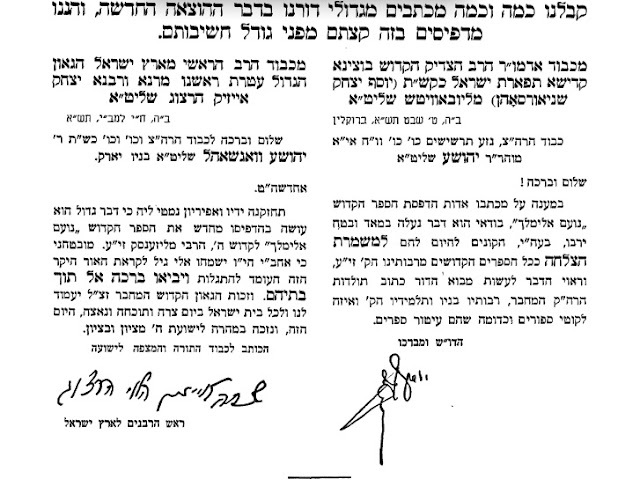 Interestingly it also contains letters of recommendation by the RAYATZ and Rav Herzog. Needless to say that later reprints of this specific edition ( I also have one from around 1980) have these letters deleted." - end of email. The two letters both address him as הרה"צ, yet the emailer calls him Joshua (Osias!). Maybe that's what his stationery said? I'm kind of at a loss here. I should ask him, I know. Maybe he'll chime in in the comments. Is it the קארטשינער-פריסטיקער רבי? hard to tell. Let me see what we can learn from our readers. Seems like all in Toronto. I went to be menachem ovel the Kotler family today at the modest home of their mother Rebbetzin Rishel a"h at 515 5th St. in Lakewood. 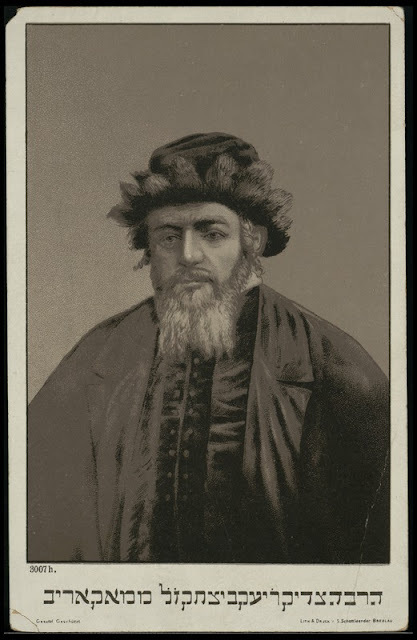 Incidentally the Rebbetzin would always mention to members of my wife's family, the Schochets, that they were related and the families were close (exactly how, I could not ascertain). I came together with Reb Nochum Kaplan, who now serves as the head of the "Central Office of Education" of Chabad in Crown Heights. 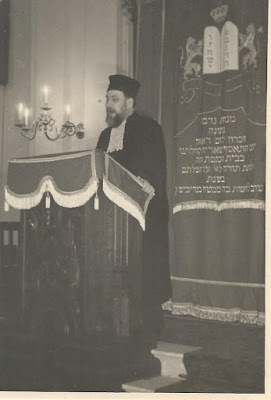 R' Kaplan started his career as the principal of the Bezalel Hebrew Day School in Lakewood almost 40 years ago. 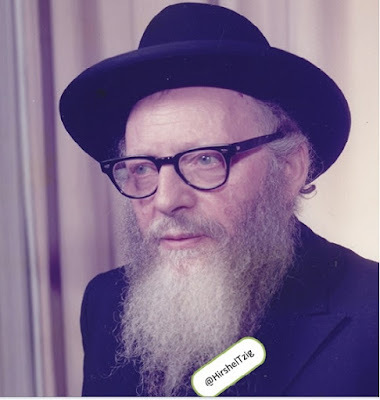 He was reminiscing with the Kotler family about the early years of Lakewood and his close and warm relationship with Reb Shneur and the Rebbetzin z"l. (They were also related somehow). 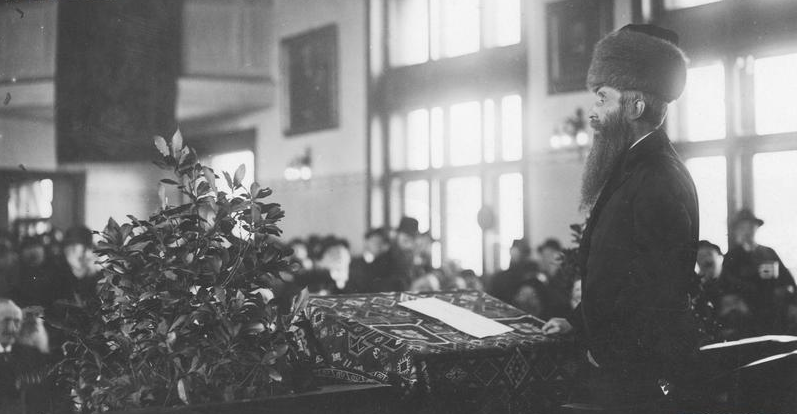 Incidentally R' Nochum was one of the first to introduce me to the world of Chabad while I was learning in Lakewood. While there in the Rebbetzin's home I snapped a picture of the famous list of the founding 13 talmidim which was hanging on her kitchen wall for over 50 years. (The number 15 quoted from the NYT in Wikipedia is incorrect). The Yeshiva opened its doors for the Pesach zman of 5703, hence, the list indicates summer 1943. 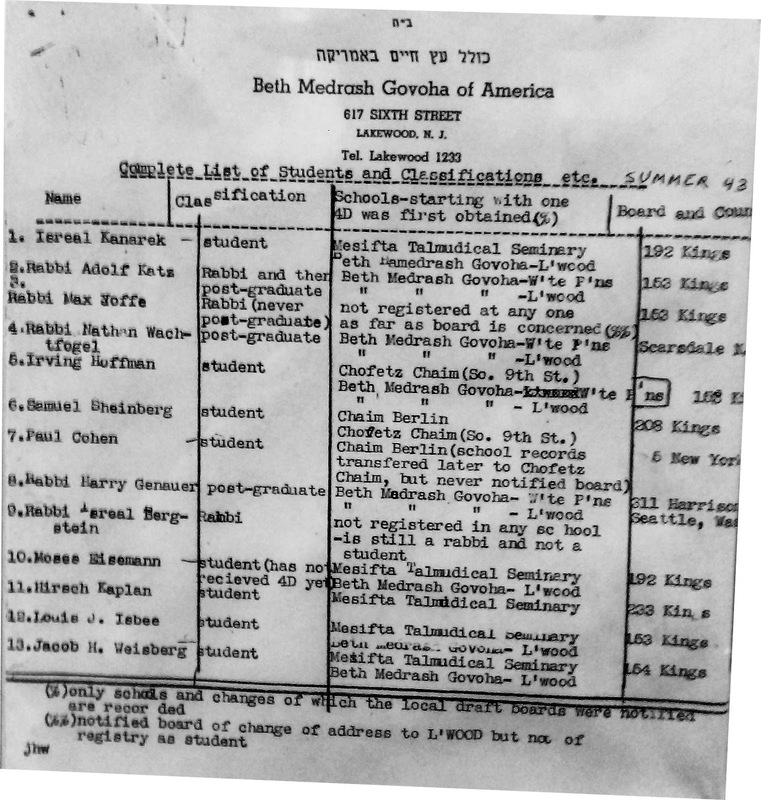 This list was created for the Draft Board, and lists in which yeshiva each talmid obtained their 4D status. (which is the exemption for ministers & divinity students. The first on the list is Reb Yisroel Kanarek z"l founder of Peekskill Yeshiva and the last is my father z"l, Reb Yaakov Weisberg. If I am not mistaken my father is the only one of the group born in America. From the book "The Legacy of Moran Rav Aharon Kotler (Dershowitz)" p. 74: "Rabbi Yaakov Weisberg was the very first American bochur to "hear" the Rosh Yeshiva's public call to Bnei Torah to "forge a new link" in the chain of Oskim BaTorah Lishmoh and join the fledgling Lakewood Yeshiva. He was a Talmid Chochem of note who loved and built Torah. 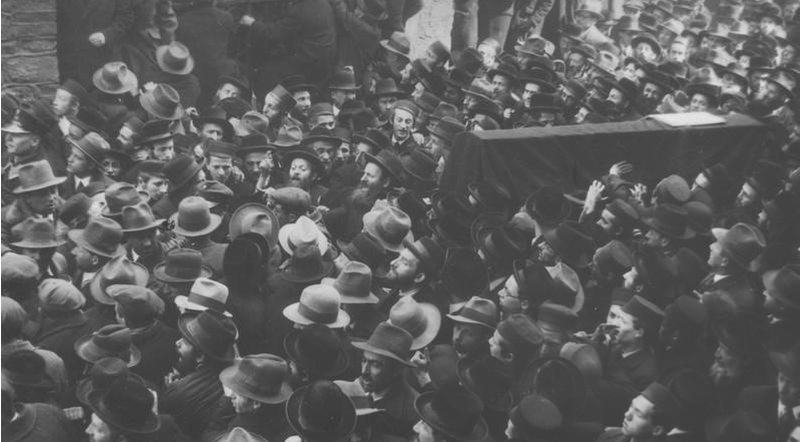 Loved and did countless Chassodim (with devotion, Simcha, and true modesty) for countless individuals." The following are pictures recently received via email. They were sent to me by R' Doniel Schochet, a grandson of the late Rabbi Dov Yehuda Schochet, last of Toronto. Mostly of Telshe and Lituania. Some Switzerland and other places. I'm not gonna bother and watermark all of them, but can you be nice enough not to take them and publish them as your own, please? 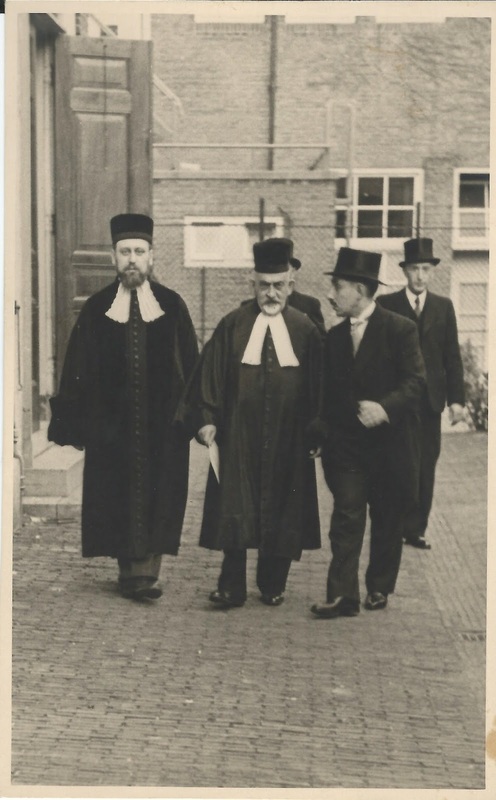 Telshe Yeshiva, 1932/5692. 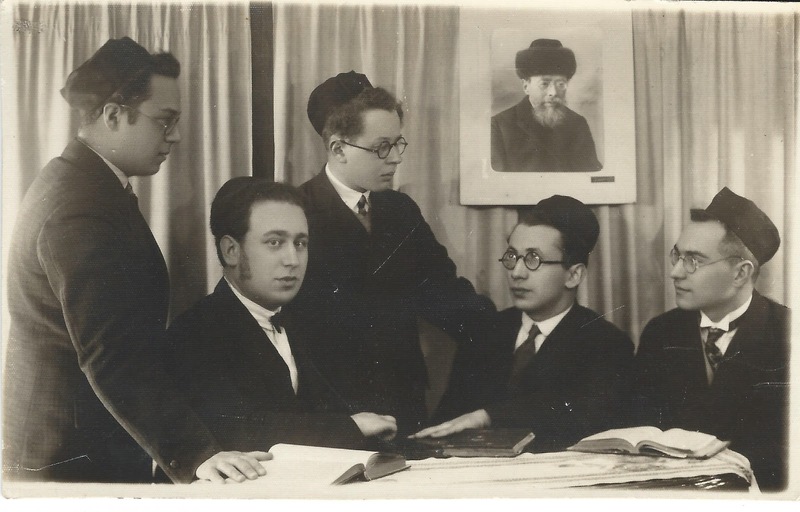 Of the 5 members of the הנהלה pictured, Reb Avrohom Yitzchok Bloch, Reb Zalman Bloch and Reb Ezriel Rabinovich were murdered with the Yeshiva and townspeople on 20 Tammuz, 5701. 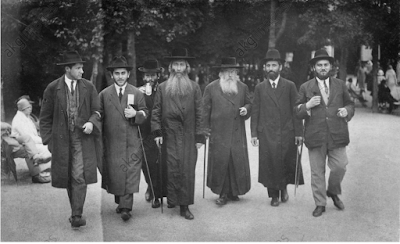 Reb Elya Meir Bloch and Reb Mottel Katz were in America and were thus saved. 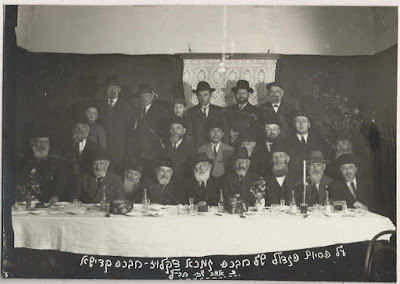 Their wives and children, however, were murdered, הי"ד.
Telsher Bochurim, RDY Shochet seated 2nd left. 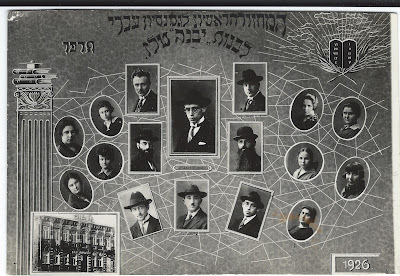 Note picture on wall of Reb Yosef Leib Bloch of Telshe, aka Der Alter Rov, who passed away in 5690/1930. 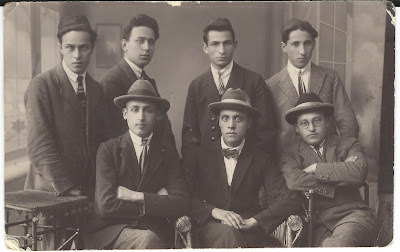 First graduating class of Yavne, the Telshe Girls' High School/Gymnasium, 1926/5786. Reb Mottel Katz, son-in-law of Reb Yosef Leib Bloch, אב"ד ור"מ טלז, pictured, right, with long beard. I count 9 students and 8 (!) staff. 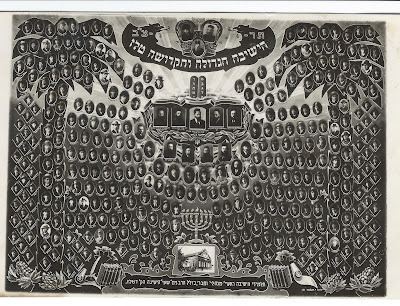 POTD - more R' Kornitzer! do we encourage untruthful behavior? So over Shabbos I davened in a shtiebel frequented by mostly Hungarian Charedim. Nice people, friendly and all. No complaints. 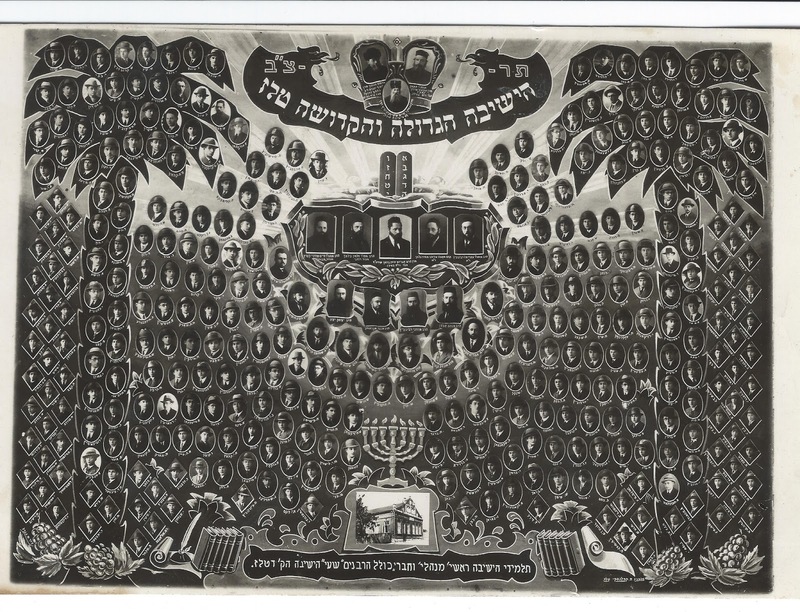 A lot of Chassidus Mevueres seforim, as well as other Chabad Seforim. Several Tehillas Hashem siddurim as well. The Rov is a sweet Rebbishe type. He even shows me the end of the aliya when I'm called up. A-1 service. So there's this one bochur there, 14-15 years old. Seems to be a nice kid, but his davening irked me. While writing this I'm thinking that I may have written about it once before, when I had the same thoughts the last time I encountered his behavior. It may have even been the same kid! Anyhow, most of you don't remember anyway... So this kid davens with tnu'os meshunos. Strong shukkeling. Fists clenched. Veins popping. שמונה עשרה is a long ordeal. But he seems like someone who knows from this world. clean hat and shoes, etc. That's not to say that he's a total bluffer! He seems like a kid who means well. But my point is simply that he's getting way ahead of himself! He's not at that level of dveikus, and it doesn't seem like he's ever going to be there. But in his mind, since he maybe wants to be there all the outside trappings of being at that level are justified. And in his mind this is the way to get close to Hashem! 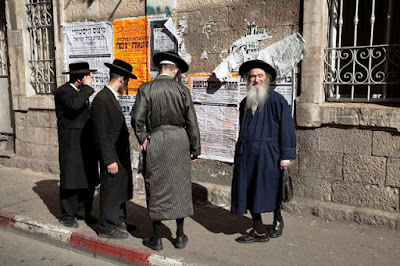 Can it be that since we allow ourselves to be untruthful, דהיינו מ'נארט זיך, in ענינים של עבודה, that it spills over to all other aspects of life as well? That we're untruthful in our business dealings or with our children and spouses? Then again, what does the משנה say? וכל מי שאינו לא חיגר ולא סוּמָא ולא פִּסֵּחַ ועושה עצמו כאחד מהם אינו מת מן הזקנה עד שיהיה כאחד מהם, שנאמר 'צדק צדק תרדוף - so maybe he has a point. There's a picture of the Rov under a chuppa waiting to greet the Polish President. I guess the chuppa is for the sifrei torah that were brought out? The Baaleibatim are mostly of the unbearded top hat wearing variety. I wonder about the position of Rov in Krakow at that point in time, like who considered him their Rov. I mean no disrespect, c"v. I'm just asking, historically. A city like that, where most people were chassidim of certain Chassidishe Rebbes, who considered him their Rov? Kind of like Boro Park or Monsey of today. Or even Bnei Brak, for that matter. Did they all go to him with their shayles? to sell their chometz? Was the position a רב מטעם kind of position? And were these baaleibatim of the modern variety? 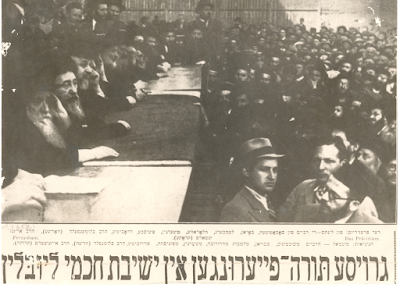 The sheine yidden whose observance was questionable at best? 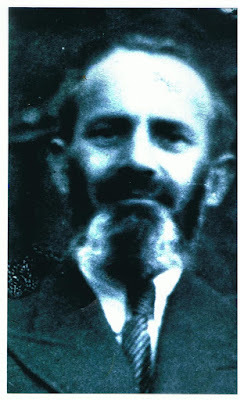 Son of R' Menachem Nochum, son of Reb Mottele Tchernobeler, זצ"ל. In Eretz Yisroel they have kolel and צבא to worry about. You can scan the picture sites for pictures from his lifetime, including the period of 1948, etc. We brought it here some time ago. 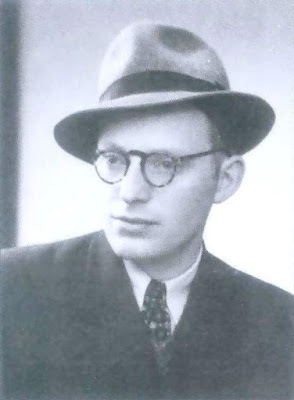 But what I'd like to say now is that in my very humble opinion, and in my uneducated opinion, Seret Vizhnitz was what Vizhnitz was all about, before it became about which direction to wear the hat and what kind of glasses to wear. במחילת כבוד האדמו"רים הצדיקים שליט"א בן ונכדי האמרי חיים זצ"ל. Vizhnitz was all about the three loves. אהבת השם, אהבת התורה און אהבת ישראל. 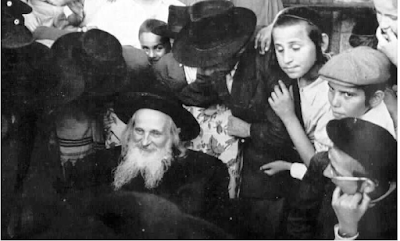 The Sereter Rebbe, in the footsteps of his esteemed father, established a beautiful community in "red' Haifa, one that would put to shame any other Chassidus in Bnei Beraq or Yerushalayim. And he did it, as far as I can tell, with good old fashioned love. The Vizhnitzer way. When he spoke to his chassidim he spoke of זיין גיטע ברידער און ליב האבען איינער דעם אנדערען. 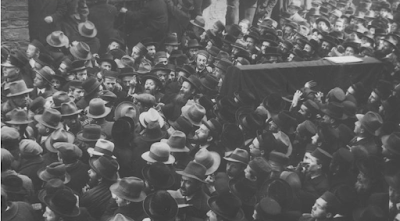 He loved his Chassidim and they loved him back. This was the way of the Besht. Love every Jew באשר הוא שם and try to get him to improve - if possible. 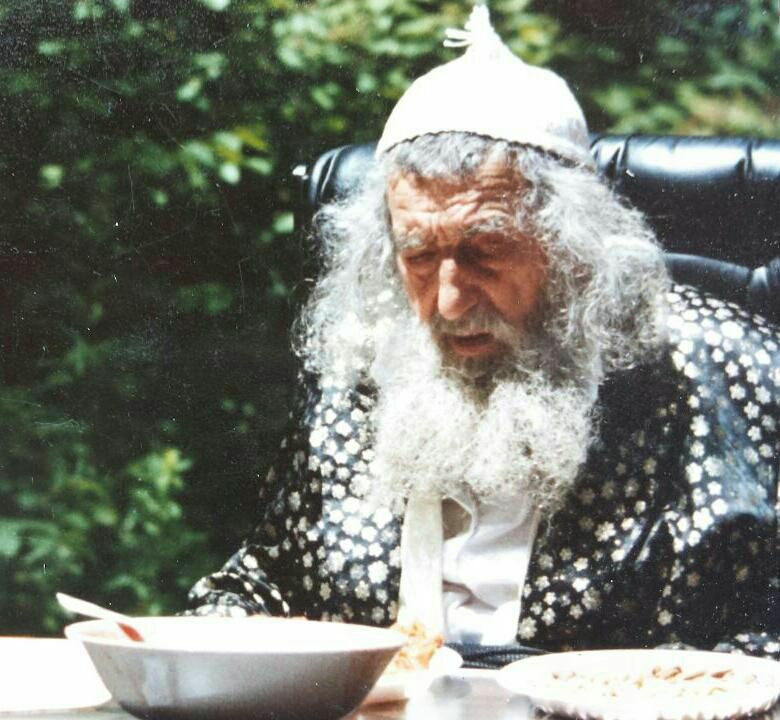 With his passing we have lost a link to the Chassidim and Chassidus of old. I've got nothing against שלום and getting along with other groups. I pride myself in being everybody's friend. But that shouldn't be at the expense of your principles. You shouldn't allow yourself to be stepped on. 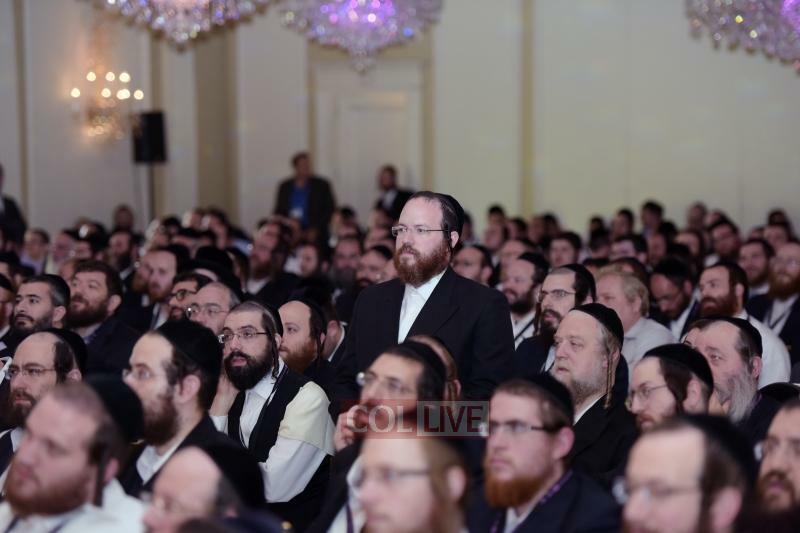 And you stand up for your Rebbes if they're being maligned, especially in public forums. This, I believe, is what the Tzaddik Reb Mottele did here. A son of the holy Trisker Maggid he had the the fire of Chassidus burning in him and he wouldn't respect those that speak out against it. May we merit to see the Geulah Sheleimoh immediately, and may these 3 weeks become weeks of ששון ושמחה בב"א.